Larry Rawls age 70 passed away March 21, 2019 at Ogeechee Area Hospice Facility, after extended illness. 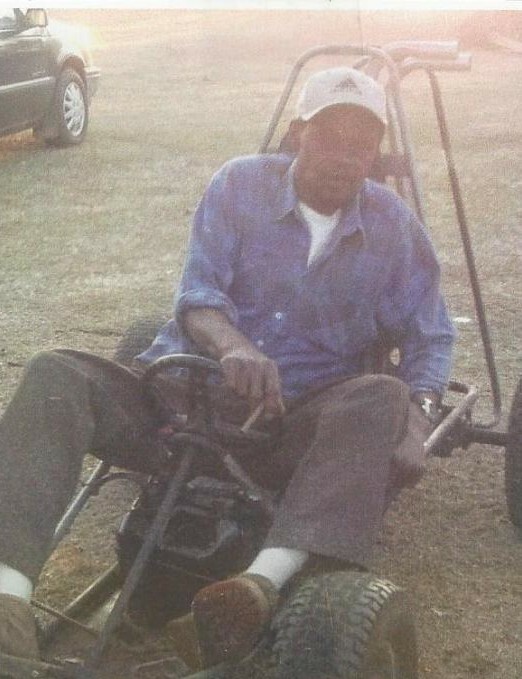 A Bulloch County native, worked most of his life as an Automobile Mechanic. Born July 9, 1948 to the late Raymond Rawls Sr., and Laura Lee Williams Rawls, was educated in the Bulloch County School System. He was preceded in death by his father Raymond Rawls Sr., his mother Laura Lee Williams Rawls and a brother Eddie Lee Rawls. He leaves to cherish his memories a loving wife for 46 years Alberta Deloach Rawls of Statesboro, Ga.; his loving daughters Melissa D. Joyce and Sharon Y. Joyce both of Boston, MA., and Sylvia V. Rawls of Augusta, Ga.; two granddaughters Dominique and Jataiya Joyce of Boston, MA. ; a grandson Dayon D. Rawls of Augusta, Ga; a great granddaughter Damayiah Marshall of Boston, MA. ; his loving sisters Lollie Bell Rawls of Atlanta, Ga., and Mary (Carroll) Joyce of Kennesaw, Ga.; his loving brothers Willie James (Jeneal) Rawls of Kentwood, LA., Deacon Johnny (Edwena) Rawls of Augusta, Ga., Charlie Rawls, Donal Rawls and Raymond (Angela) Rawls Jr. of Atlanta, Ga., Kenneth (Felicia) Rawls of Conyers, Ga., Ronald (Wonda) Rawls of Statesboro, Ga.; a host of aunts, uncles, and other relatives and friends. Viewing will be held Thursday March 28, 2019 from 2-7pm at the Craig R. Tremble Funeral Home, Statesboro Chapel. Home Going Celebration for Mr. Larry Rawls will be held Friday March 29, 2019 at 11am at the New Hope Missionary Baptist Church, 6790 Kennedy Bridge Road, Register, Ga., with the Rev. Gregory Thomas, Presiding/Pastor and the Rev. Craig R. Tremble, Eulogist. Interment will be held in the Church Cemetery. Mr. Larry Rawls will lie-in-state from 10am until funeral hour. There will be no viewing after eulogy. Craig R.Tremble Funeral Home, Statesboro Chapel are in charge of arrangements.